Last weekend, I traveled to Atlanta for a skater-boy themed Bar Mitzvah. I also had the opportunity to reconnect with a couple I married four years ago and meet their beautiful new baby. As if that wasn’t already a perfect weekend, I was fortunate enough to spend some quality bonding time with my sister, Nina Spiegel. 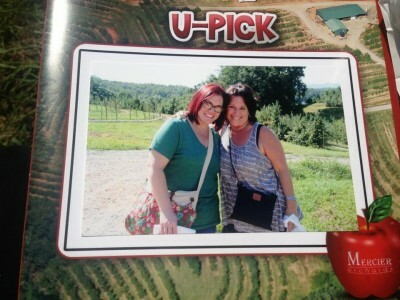 One of the highlights of our time together was going apple picking at Mercier Orchards in the Blue Ridge Mountains. 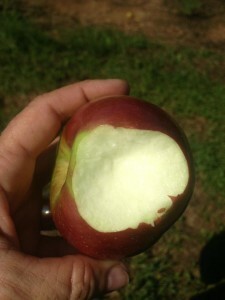 Apple picking with my sister brings back joyful memories from my childhood. It was a timely activity in preparation for Rosh Hashanah, as we eat apples dipped in honey to symbolize our wish for a sweet new year. 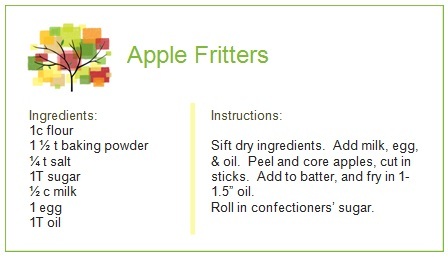 Not only are they inexpensive and good for you, but they are delicious too! If you have any favorite Rosh Hashanah recipes, please feel free to share by emailing debbi@shemakoleinu.org. 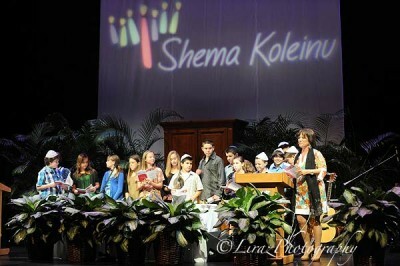 We’ll post some of our favorites to the Shema Koleinu Facebook Page as it gets closer to the New Year. Remember to use the hashtag #skhiho13 when you post to Facebook and Twitter about the event. I’m amazed that Rosh Hashanah is only a week away, but even more surprised that Yom Kippur is also just around the corner. We have a record number of people attending High Holiday Services this year, so if you haven’t yet bought your tickets, please do so as soon as possible. 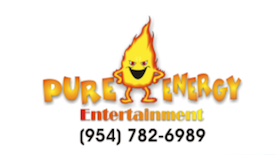 You can purchase tickets through Miramar Cultural Center’s website – http://bit.ly/14INXu0. To purchase High Holy Day Services tickets through the Miramar Cultural Center, please visit http://bit.ly/14INXu0. And be sure to follow us on Twitter, Like us on Facebook, and contact Cantor Debbi Ballard directly at debbi@shemakoleinu.org with any questions you may have about this year’s High Holy Days and how you can get involved. And the announcement is…(drum roll please) – EdJEWCation Station has arrived! As many of you know, I have long been seeking a name for our amazing Jewish education program, that has grown in excess of 200% per year over the last 5 years. Our curriculum has focused on 5 core areas: Torah, Mitzvot/Ethics, Food/Culture, Prayer/Tefillah, Judaica/Holidays and Traditions. 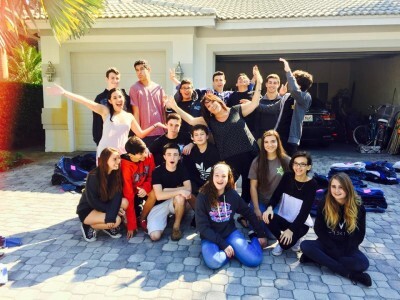 In our program, we cook and experience the fun of being Jewish, we sing and learn through music, learn how to build a relationship with G-d, and overall – celebrate Judaism in a fun environment together. Five years ago, I began teaching a group of five 5th and 6th graders, in their homes, bi-weekly. We now have reached almost 100 students, and anticipate a possible enrollment next year of 130-150! The growth has been phenomenal, however, it has taken us out of family’s homes and clubhouses, and led us to several Dunkin Donuts locations, with (thankfully) private conference rooms. But even the blessing of private conference rooms has its drawbacks… It’s kind of hard to whip out my guitar and have 13 3rd graders belt out a whopping rendition of Jonah and the Whale! So, given the challenge of needing a classroom that serves multiple locations in any given week (Weston, Davie, Plantation, Miramar, and Parkland) I kept searching for a solution to a demand that required mobility. And – that’s where edJEWcation Station™ comes in! Imagine – a coach bus – that has been converted into a clean, comfortable, and above all, functional mobile classroom – with 10 workstations, a teacher station, air conditioning, generator, and satellite! 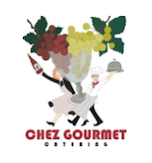 Yes, that’s right – a mobile classroom Jewish education solution to serving hundreds of students throughout South Florida, WITHOUT the need for real estate and exorbitant building funds! Your future edJEWcation Station™ mobile solution will be pulling into a location near you in the coming year! So we have a name, and we will (hopefully soon), have a bus, and what we have most of is lots of ideas! 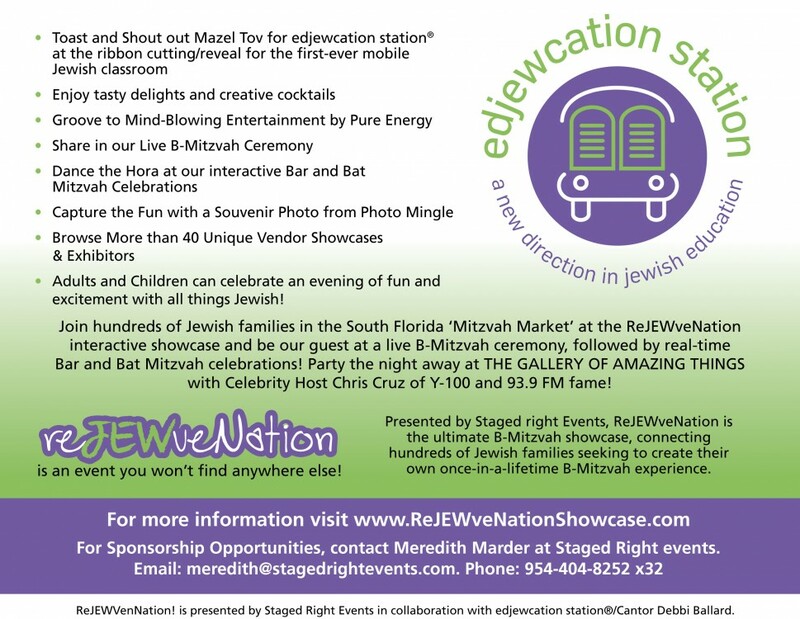 The main goal is that edJEWcation Station™ will continue to serve the unaffiliated Jewish population of South Florida with quality Jewish education programs, observance, and fun/engaging celebrations within our community – without the need for high membership costs. 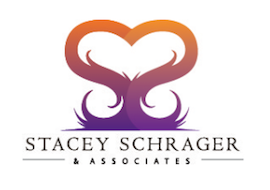 I am hoping that this idea can not only serve the needs of my current population, but that we can also use it for adult education within our community, serving retirement villages with options for adult ed/Torah Study and more. For this to come to fruition, I would love YOUR ideas: How else can we use the bus? What would you like to see? How can I use this concept to serve you, my community? Please share, ask questions, (help me write a grant or two), and join me in celebrating the naming of our project at our upcoming Shabbat Service, on February 22nd. We will all say a Shehecheyanu together! 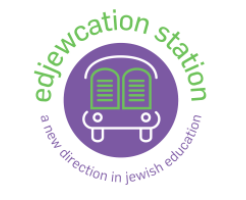 For more information on edJEWcation Station™, contact Lauren DelGandio at 954-646-1326 or me at debbi@edjewcationstation.org! Thanks! See you on the bus!